My latest and 40th sky mural to date! Located in the beautiful city of Birmingham, which is located in Detroit Michigan. Birmingham is filled with beautiful traditional style historic homes, enormous trees, and my clients home was nothing but perfect! 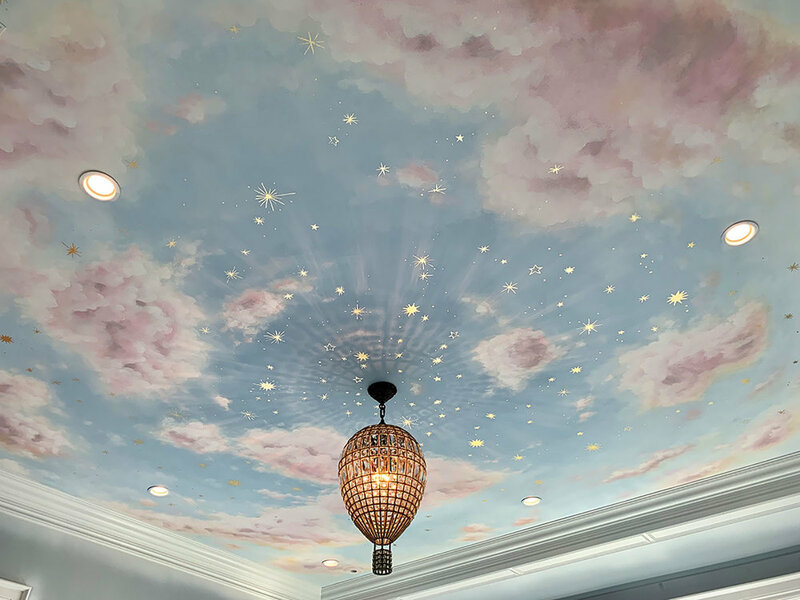 The nursery will be decorated in a classic blue and white theme, so the ceiling is the main focal point. 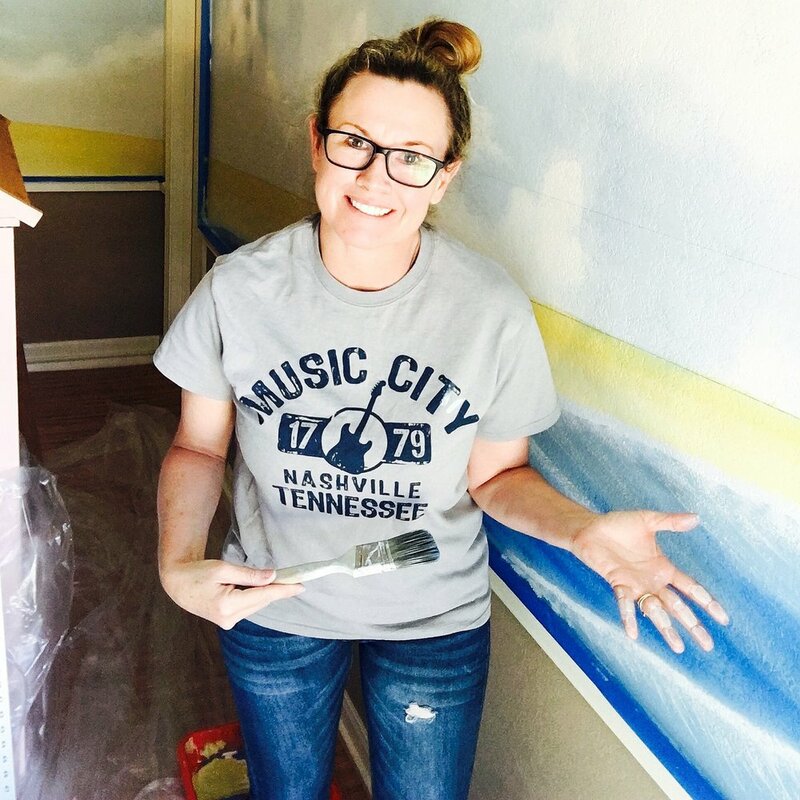 I chose a soft pretty blue, then we added baby pink clouds with touches of creams and orange. 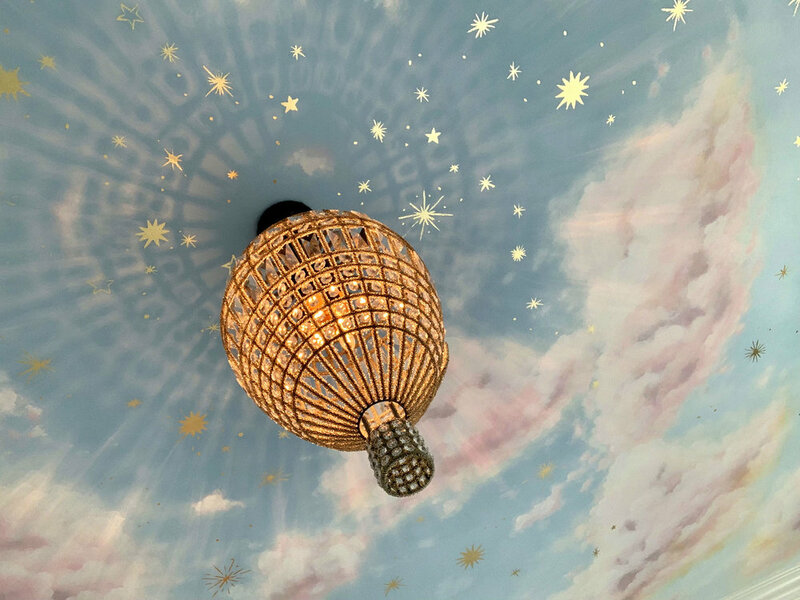 The final touch was adding real gold leaf stars which glisten around a crystal hot air balloon chandelier. It’s truly a masterpiece! The Ehrenberg family is one of my biggest customers. They own a chain of Preschools (Premier Academy), a soon to be chocolate shop, and more. I done a lot of projects in their schools and now their home. 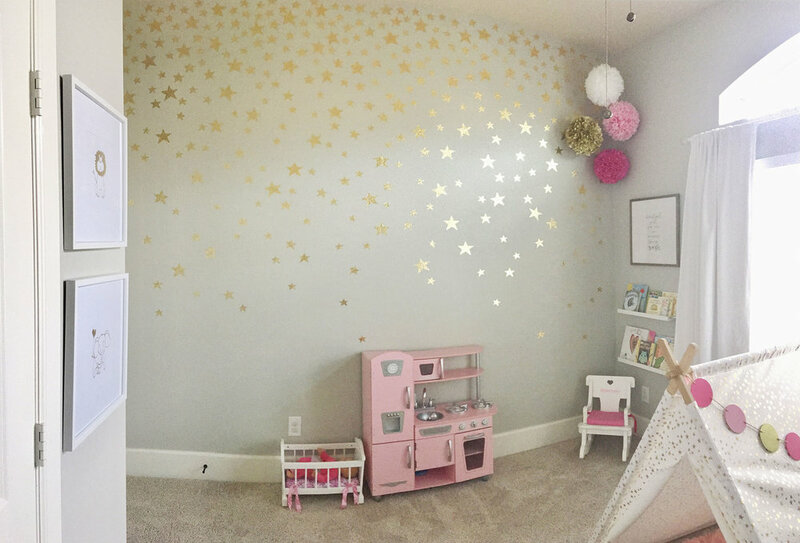 Jen (Mom) wanted gold leaf stars in Malone’s playroom and I added her monogram in her bedroom. They both turned out amazing! The stars were done with real foiled gold leaf and glue and the monogram I matched the colors in her bedding. They both came out very pretty.